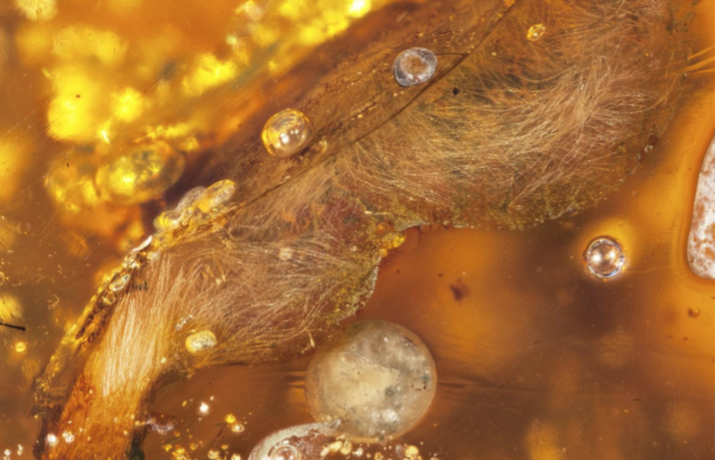 Finding ancient bugs trapped in amber is a relatively common occurrence, but the recent discovery of two ancient bird wings fossilised in Burmese amber is unprecedented. These 3D fossils — which still contain feather arrangements and traces of soft tissue — are simply amazing. Birds first emerged over 150 million years ago when dinosaurs still ruled the Earth. Scientists have collected some fairly decent bird fossils over the years, but they tend to be run-of-the-mill 2D impressions forged into rock. 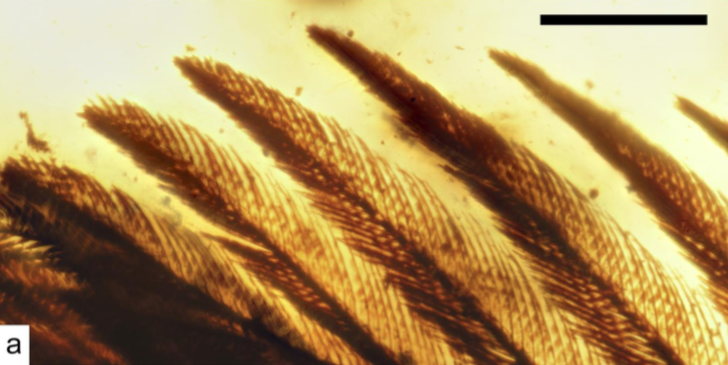 Researchers have found traces of ancient birds in amber before, but only single feathers. The discovery of a pair of 99-million-year-old bird wings fossilised in amber is now offering an unprecedented glimpse into these early birds and what they must have looked like. These remarkable fossils, described this week in a new Nature Communications study, were discovered by palaeontologists Lida Xing, Ryan McKellar, and their colleagues at a site in the Kachin Province of Myanmar (formerly known as Burma). Incredibly, the 3D fossils still contain traces of hair follicles, soft tissue, and feather arrangements. 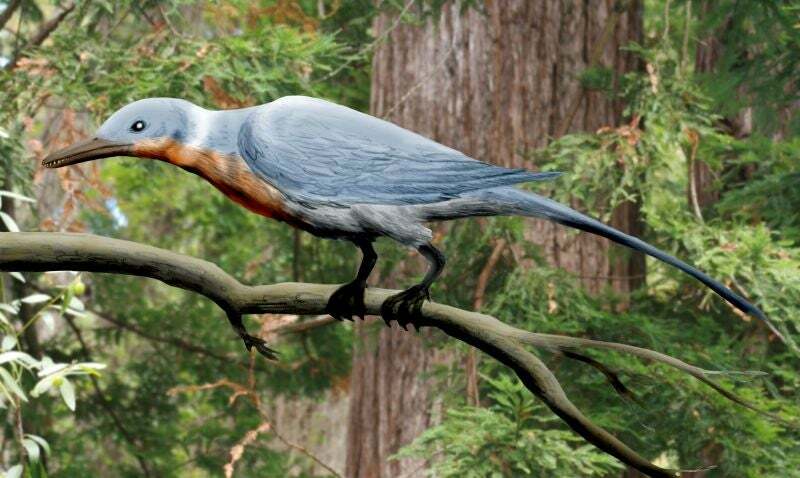 This is the first time that scientists have had the opportunity to study these particular physical characteristics in bird that became extinct at the end of the Cretaceous period. 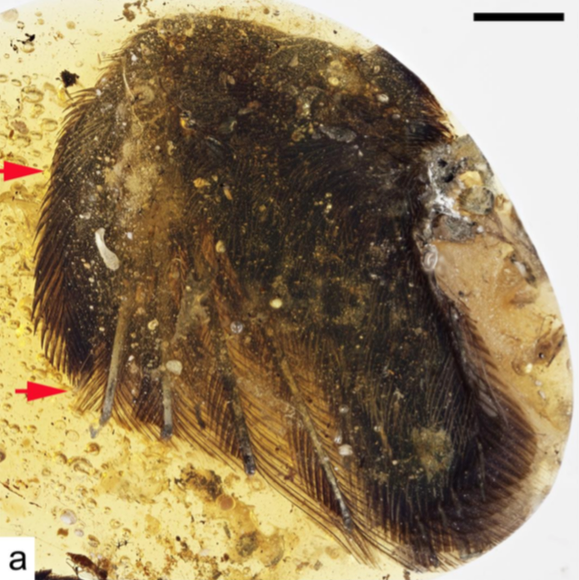 Because the wings are small, and the proportions tiny, the researchers believe the remains belonged to a pair of hatchlings who died shortly after birth. The duo belonged to an ancient species of birds called Enantiornithines, who exhibited very adult-like features at a young age (i.e. these early birds were “precocial”). So even though these wings belonged to baby birds, the scientists still have a pretty good idea of what the adults looked like. The researchers examined the structure and arrangement of the bones and feathers using techniques such as synchrotron X-ray micro CT scanning. Overall, the plumage of the fossil wings closely resembled that of modern birds. When placed side-by-side with the wings of a modern robin, for example, the wings look almost indistinguishable. 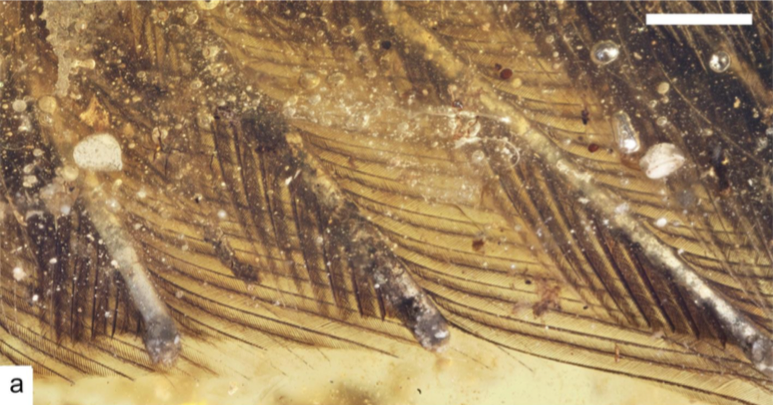 The fossilised specimens exhibited similar feather arrangements, pigmentation (yes, the amber fossils even revealed colour! ), and microstructure. “These specimens demonstrate that the plumage types associated with modern birds were present within single individuals of Enantiornithes by the Cenomanian (99 million years ago),” wrote the authors in their study. This suggests that birds evolved their unique plumage arrangements over 100 million years ago, and it hasn’t had to change very much — if at all — over time.